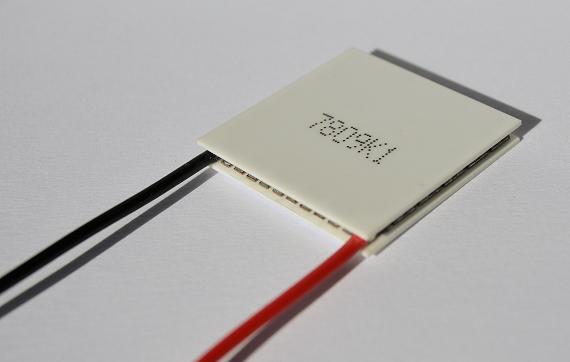 TM 71-1.4-6.0 is a popular multi-purpose single-stage thermoelectric module with a 30 x 30mm footprint. It is intended for use from 5 to 8 Volt DC nominal power sources. 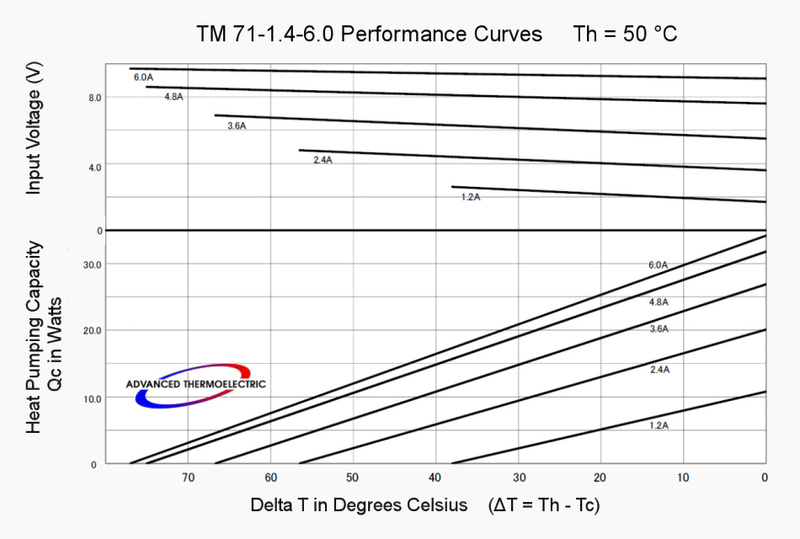 TM 71-1.4-6.0 can be used with a very wide variety of economical extruded heat-sinks without the hot-side temperature becoming unreasonably high. It’s also frequently used in strings. 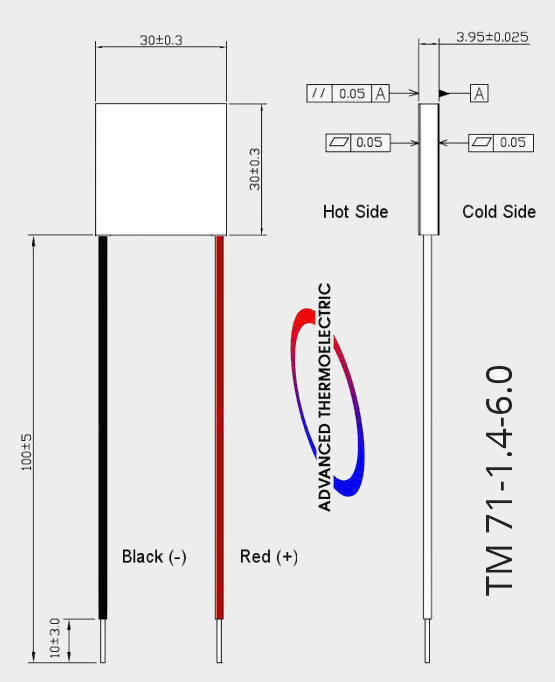 For example, two connected in series can be operated from a 12V source (or 15V). Four in series are operated with a 24V source, etc. A combination of parallel strings of modules in series allows coverage of a large surface area. May be used for cooling, heating and thermal stabilization and is employed in a wide range of applications including electro-optic/photonic, fiber optic, aerospace/military, telecommunications. 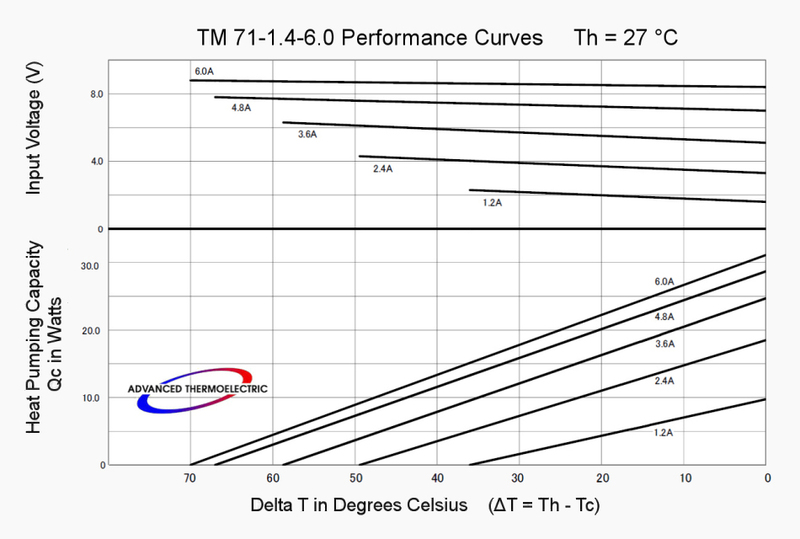 A version for thermal cycling is available.